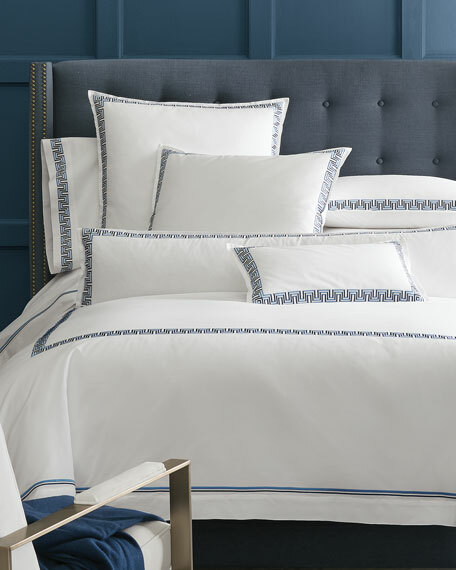 Alessandra Branca, renowned interior designer, introduces statement-making bed linens referencing the classics in her Casa Branca for SFERRA Collection. Labirinto is her singular take on the traditional Greek Key design. 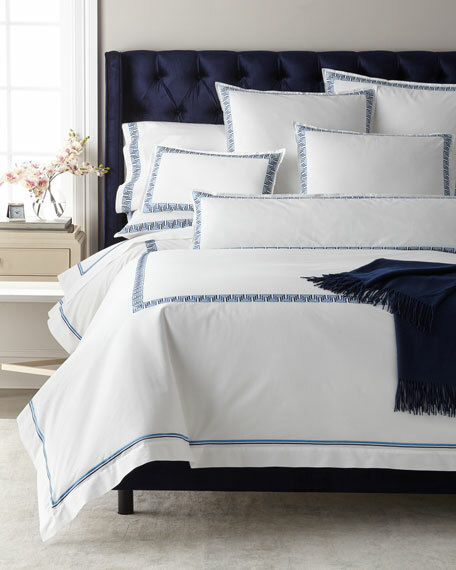 It's stitched in a lovely duet of embroidery colors which mimic a trompe-l'œil effect, giving new life and viewpoint to a stately and much revered interior design canon. Exclusively at Neiman Marcus. 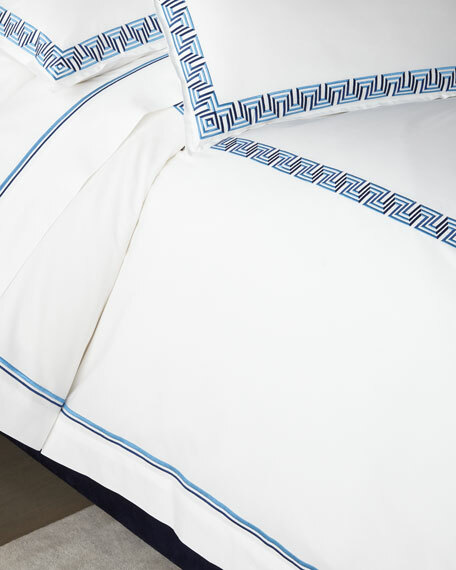 Duvet cover with Greek key border. 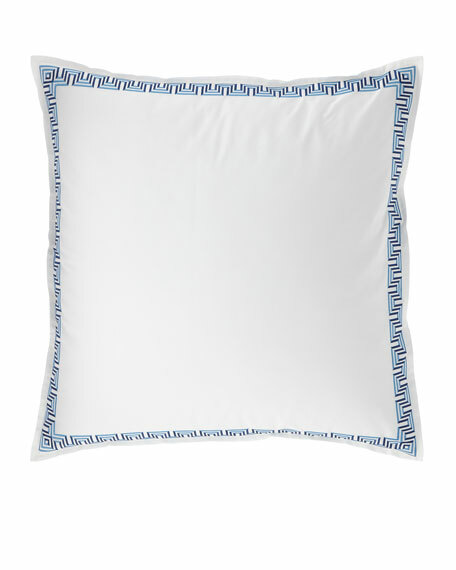 Sham with Greek key border. 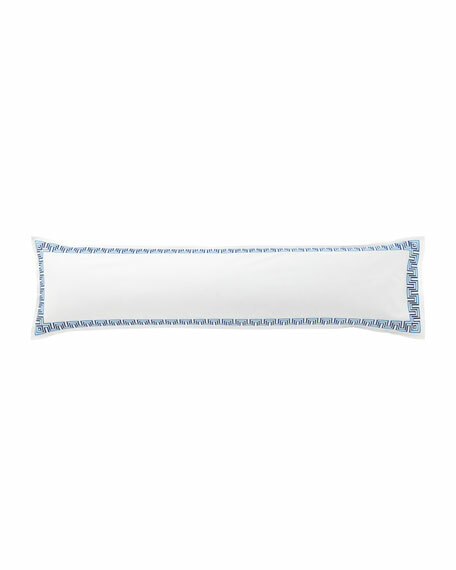 Sham of long staple cotton. 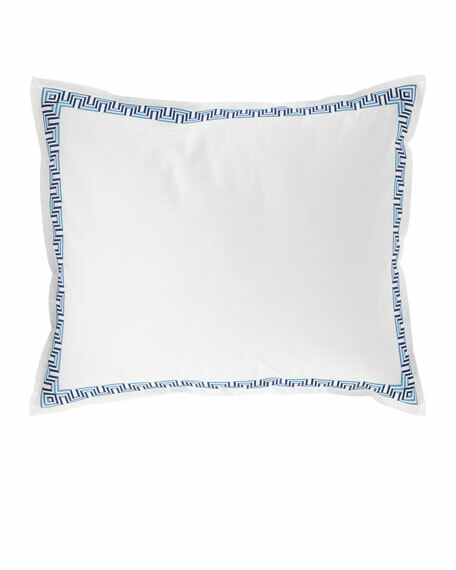 Labirinto Decorative Pillow, 12" x 22"
Decorative pillow with Greek key border. 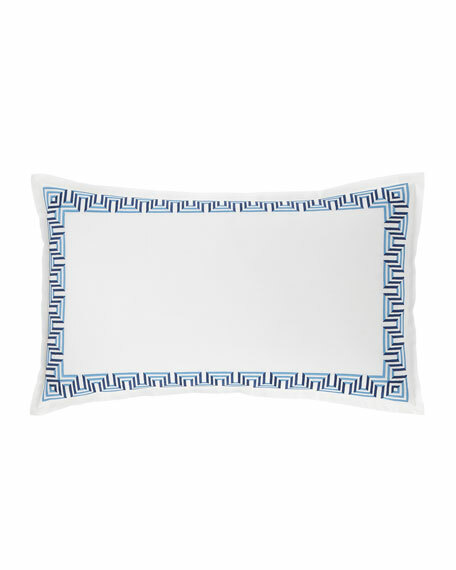 Labirinto Decorative Pillow, 12" x 50"
Greek key trim at opening. 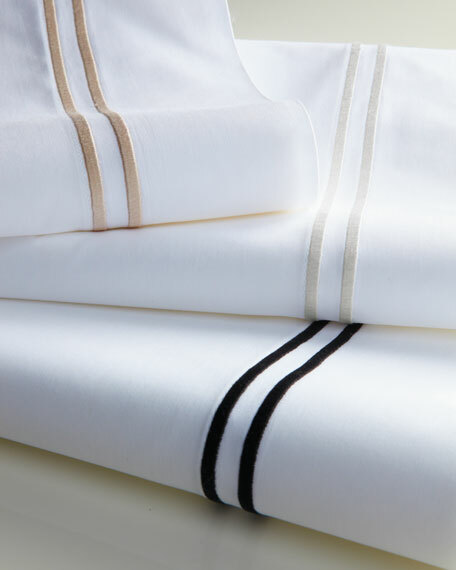 Flat sheet with striped border.